The tables in the Short Loan area were only ever intended to be short-term work areas while photocopying of articles was taking place but due to pressure on study space elsewhere in the Library they (understandably) began to get used by students for longer periods of time. That in itself was not a problem but unfortunately the associated noise generated became too distracting and disruptive for Library staff working on the other side of the wall. 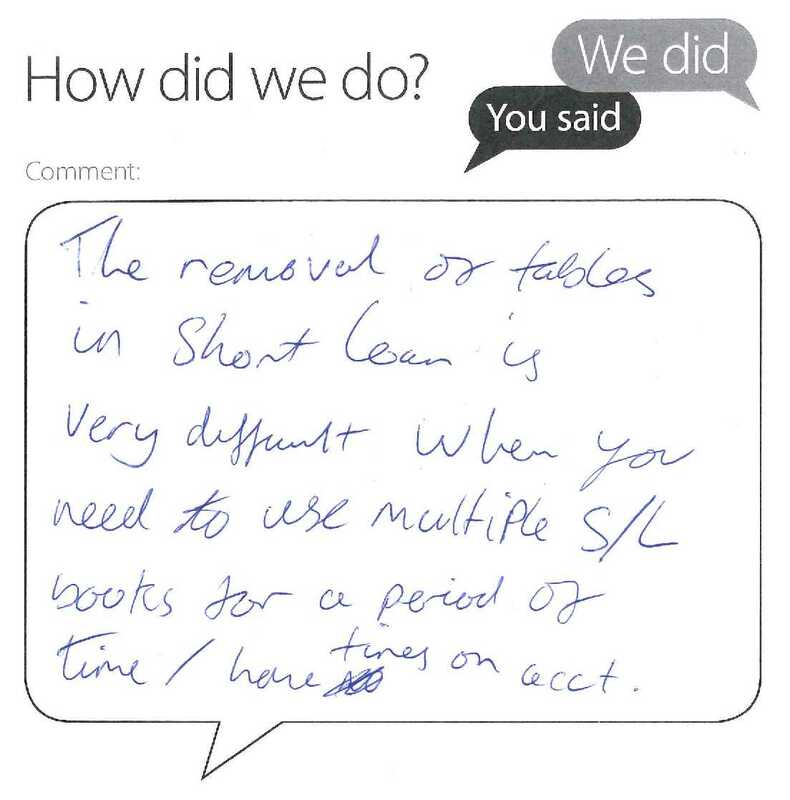 Short loan books should be checked out while you are using them and I would of course encourage you to clear your fines so you can do so. If you have a problem with fines owed please speak to the staff at the Service Desk.